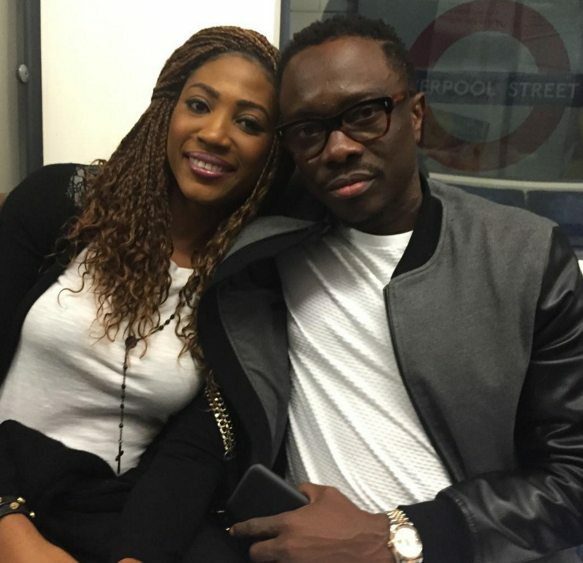 Julius Agwu's wife has reacted to reports making the round in the media about the comedian's current health status. The comedian, who survived a brain surgery last year, was hospitalized in London last weekend from stress of organizing his annual comedy show, Crack ya Ribs, which he was eventually unable to attend. In an Instagram post shared today, Ibiere Agwu confirmed that her husband was indeed admitted to the hospital due to stress-related issues. The mother of two used the opportunity to thank fans, friends and colleagues for the outpouring of love and support. ''THANK YOU ALL!!! On behalf of my husband Julius Agwu, my children Zahra and Zadok and the entire Reel Laif Entertainment family, I say a big THANK YOU to all that have wished us well; prayed for us and shown concern during the past 96 hours. We thank God for his faithfulness and his restoration power. Let me also use this medium to diffuse the fears created by some media outlets that had good intentions but used old pictures from Julius' May 2015 craniotomy, and many people mistook it for his current situation. The pictures displayed on social media in the past 72 hours are old pictures and do not correctly represent his current situation. Julius was admitted due to stress-related issues that necessitated proper rest and rehabilitation. As many of you may already know, he had several shows lined up in the UK during the Nothing hill Carnivals. By the grace of GOD Julius is doing well and receiving adequate care. As you continue to keep him in your prayers, it is our sincere prayer that God will do for you what no man do! Ephesians 6v8.